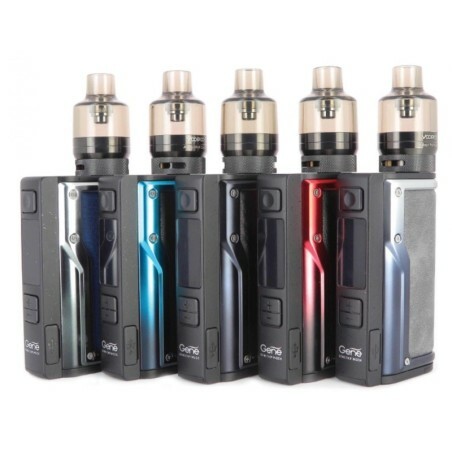 The Eleaf iJust 2 complete kit is a complete starter kit, which incorporates high-performance temperature controlled atomizers with an integrated 2600 mAh battery. The iJust 2 TC tank is equipped with a 5.5 ml juice well and a new double EC coil in organic cotton and Ni200 coils, it comes with the quadruple air flow adjustable to produce the fullest vapors and flavors of the today's liquids. It is the perfect integration with the direct output voltage system and the battery for precise performance and safety, suitable for both beginners and advanced vapers. Made of superior quality stainless steel, the iJust 2 Full Kit is a reliable kit that delivers incredible performance! iJust 2 Full Kit has a large battery capacity of 2600 mAh despite its elegant appearance and low weight. The capacity of the liquid is large, equal to 5.5 ml, a characteristic that makes it more practical. By adopting the EC double coil head, it is able to produce a wider vapor. Furthermore, the special structure designed for the iJust 2 atomizer base significantly improves heat loss.